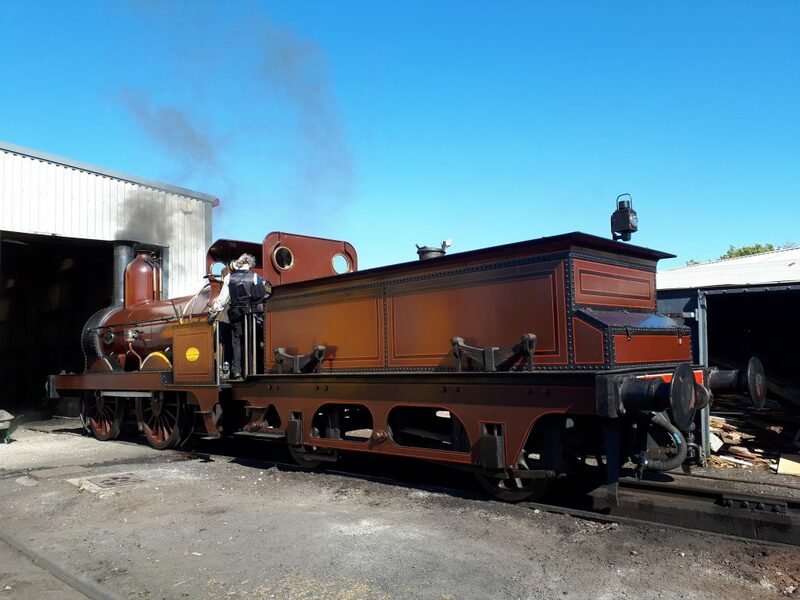 Sunday 8th July 2018 has been in our diaries for a long time, as it was scheduled to be the last day of FR 20’s boiler certificate before its 10 year boiler lift and overhaul. 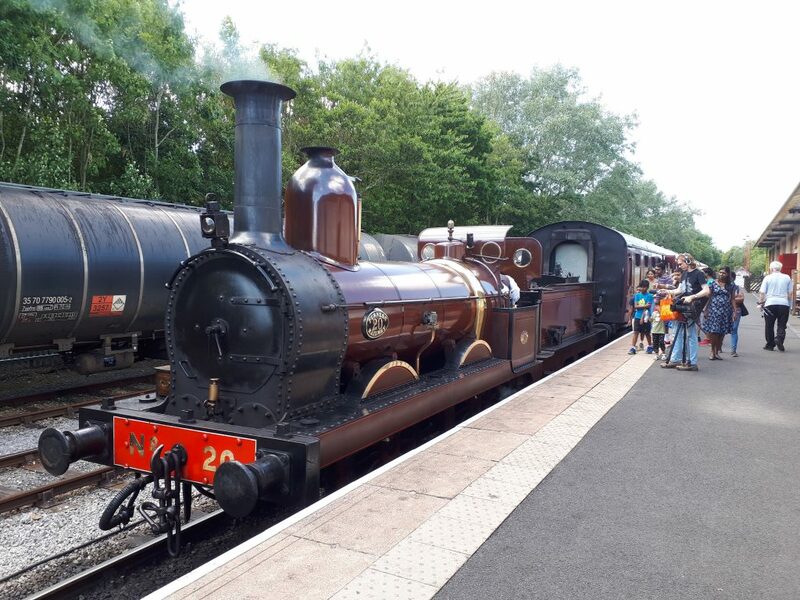 For that reason the loco was scheduled to operate the trains on the Ribble Steam Railway on both the Saturday and Sunday, with excellent weather to hand – well we had had plenty of time to put in the request for it! Saturday was a little quiet (something to do with a football game! ), but plenty of people, including many members and friends, came along to say “Goodbye” on Sunday. Coincidentally, Neil was able to spend his first full day on the footplate at Preston that day as he looks to regain his fireman’s ticket – at least he had a loco that he knew from times past. Sadly, after handling the train service and rake of three coaches without fuss, FR 20 retired to the shed at the end of service on Sunday afternoon in steam for the last time for a while. As Tim put it at this point: “finish with engines”. We know from the large amount interest on the internet that everyone is willing the FRT to get the loco back in traffic as soon as feasibly possible. There has again been steady progress in the FRT shed at Preston. Tim has been applying more gold size and varnish to Great Eastern Royal Saloon No. 5 whilst John Dixon and Mike have been undertaking repairs to droplights. John is seen here cleaning out a droplight sill prior to reassembling it. Roger has started the job of sanding down and priming parts of the buffers and couplings. 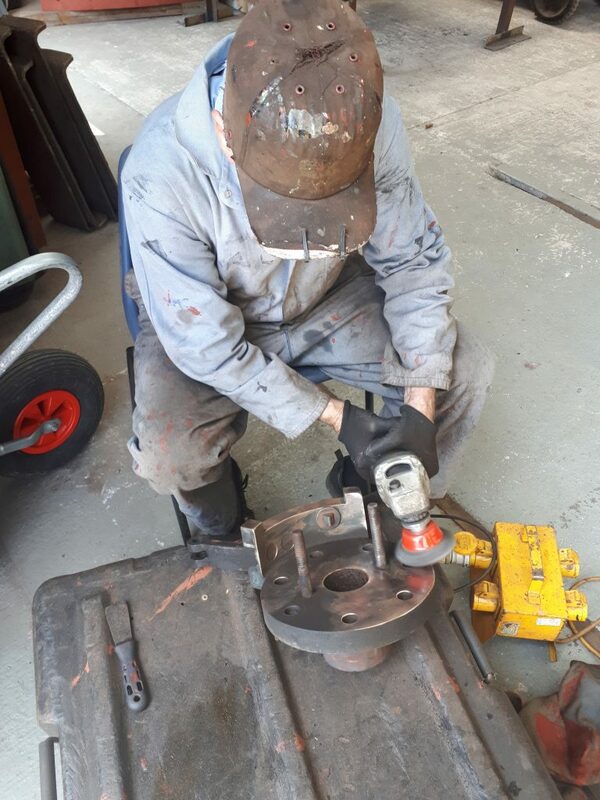 With the weather far too hot to progress the painting of the exterior of the mess room, John Davis and Paul Newton undertook their own version of Scrapheap Challenge amongst the various paraphernalia near the FRT shed and found the remains of an L&NWR bench seat, which they are now interested in restoring. 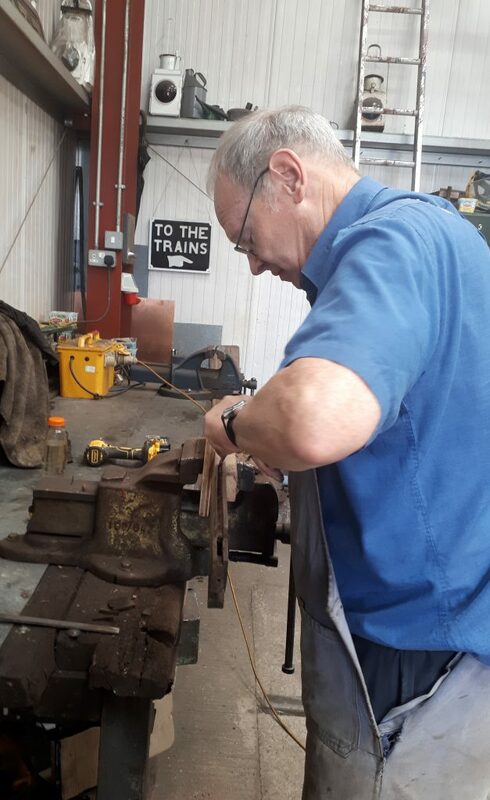 Keith has brought back some of 5643’s components from Embsay for fettling and Fred is seen here on Friday cleaning up the regulator quadrant. Keith was due to go over to Embsay on Sunday as he looks to get 5643 back in steam as quickly as possible. 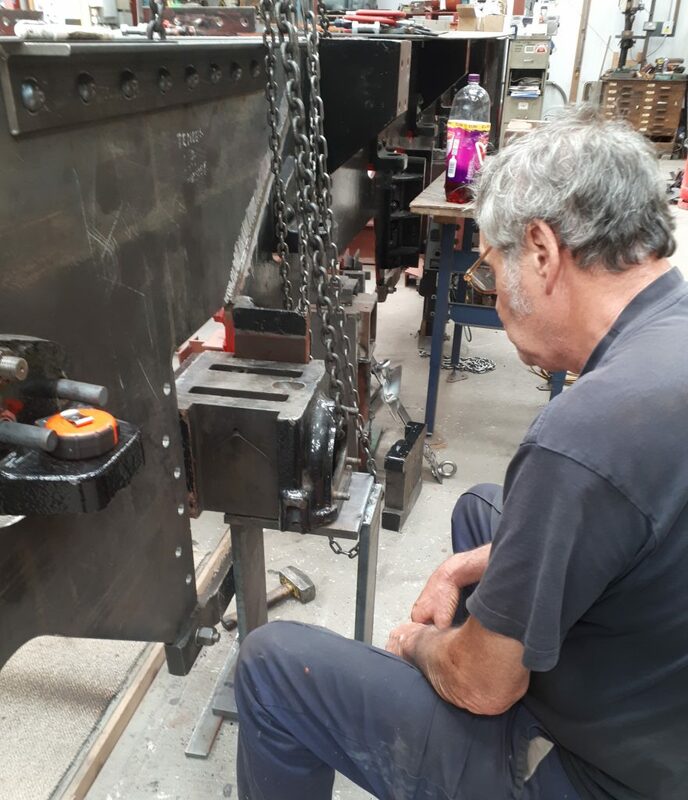 In the meantime, Keith has been lining up Wootton Hall‘s tender axleboxes with the overhauled tender frames, seen here at work. A further riveting session is planned for Thursday. 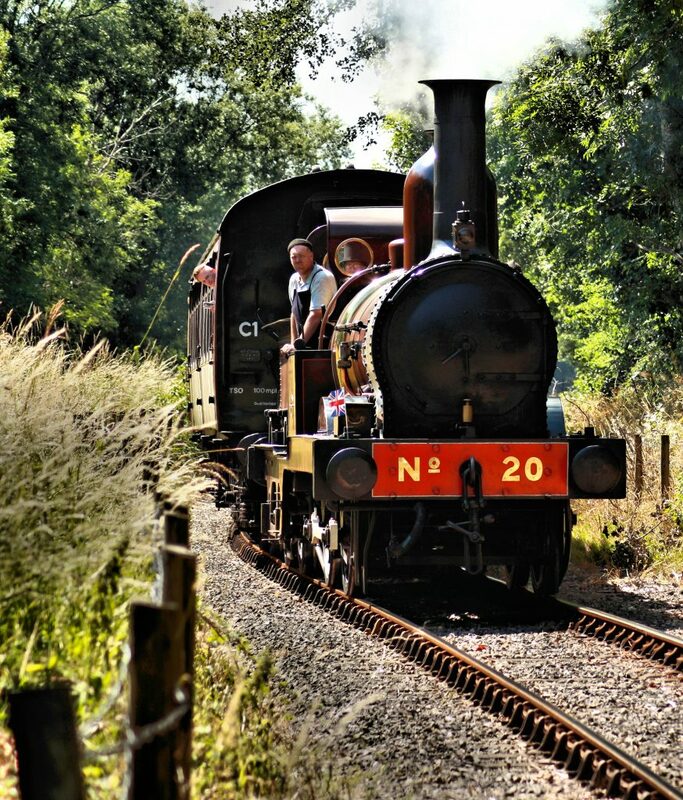 Finally, for those of you who are wondering where latest edition of members’ magazine The Iron Horse has got to, we can tell you that Alan is currently sorting out the layout and choosing the photos in readiness for it to go to the printer.